Silence. That can be heard early Monday afternoon in the little barn in Uniondale. But turn back the clock a mere 24 hours, and you have arguably the loudest atmosphere that any team will experience in the playoffs this season. 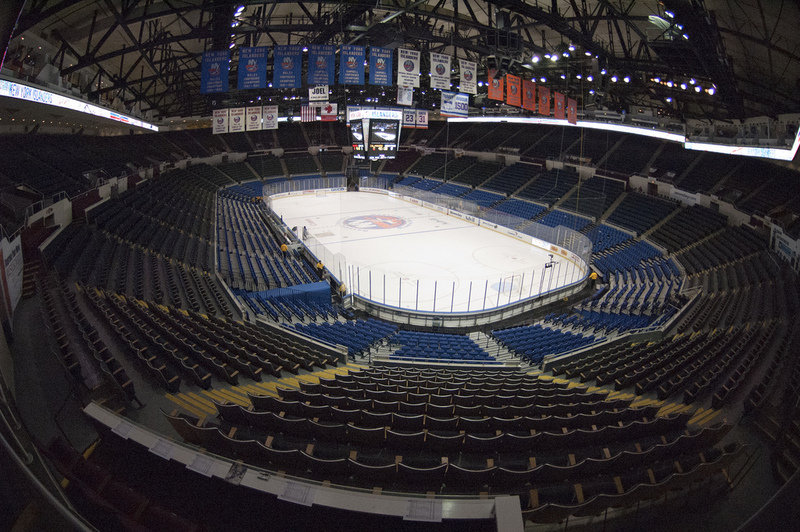 The Nassau Veterans Memorial Coliseum will be closing its doors at the end of the year, and New York Islanders fans are giving the building the ultimate send off. Fans were challenged on Saturday afternoon, as the Washington Capitals’ Alex Ovechkin gave his expectations for Sunday’s game three matchup. Ovechkin was greeted with chants of “CAN YOU HEAR US?” The chant echoed throughout game three. From the opening faceoff, fans gave the Capitals the ultimate distraction, and fueled the adrenaline of the hometown Islanders. A second period deflection by Kyle Okposo gave the Islanders the lead, igniting the crowd even more. Defenseman Johnny Boychuk finished the second period with a game-changing diving stop on Ovechkin and headed to the locker room to the sound of a loud “John-ny Boy-chuk!” chant. Nicklas Backstrom ripped the hearts out of many of the 16,170 fans when he went top shelf and found the back of the net with just 6:06 to play. 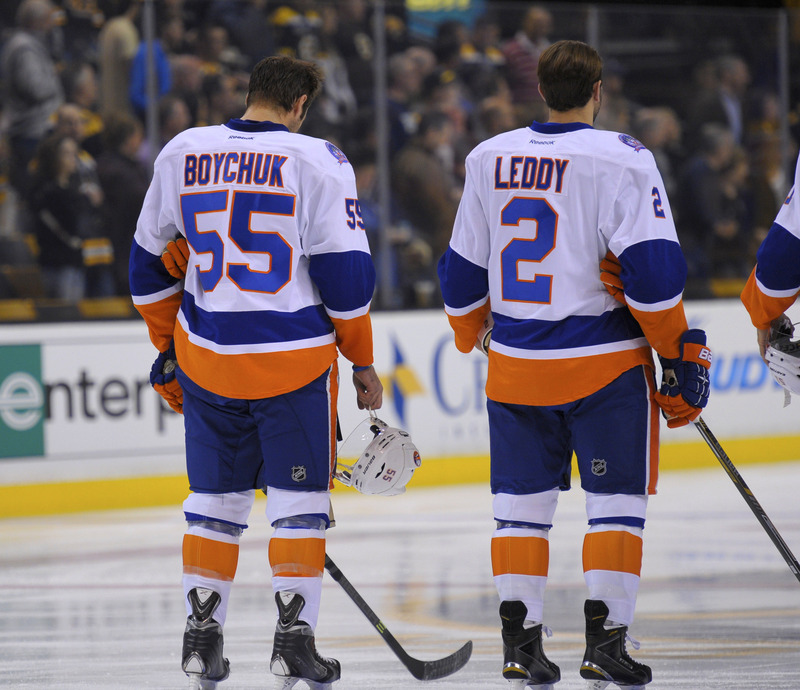 Was this the beginning of another late-game Isles collapse? I’m sure that two weeks ago, many Islanders fans would have anticipated that. But this day was different. After the goal, another thunderous “Let’s go Islanders” chant broke out and the crowd stayed in it. The fans wouldn’t go unheard, and refused to go home unhappy. Regulation ended and fans buckled up for the long overtime period…or at least that’s what they thought. Fifteen seconds. That’s all it took. Nick Leddy fired the puck, Nikolay Kulemin deflected it on net, and Islanders captain John Tavares picked up the rebound and sliced the puck just over the pad of goaltender Braden Holtby, sending Islanders country into a mass frenzy. The Capitals left the ice to a resounding “YES! YES! YES!” chant, and were now down two games to one, to a team that hasn’t won a playoff series in 20 years. The game also signaled that more hockey is to be played at the Coliseum, as the Islanders are guaranteed to play at least two more games in the Barn, with more on the way if they can close out Washington twice more and advance to the next round. This season, the Islanders have honored their past, bringing back legends from the cup years, and honoring them individually. Last weekend, the Islanders shocked many when they did not bring back all of them for the last regular season game, but opted for “decades night” a week earlier, bringing back two players from each decade. No offense to the players honored, but people who paid big money for tickets didn’t come to see Eric Cairns, Steve Webb and Shawn Bates. They came to see Nystrom, Bossy, Gillies, Potvin, Smith, Trottier, Bourne, Resch, Lafontaine, Westfall, Harris, Morrow, Tonelli, Goring, Sutter, Turgeon, Volek, Palffy, Berard, and Jonsson all in one room on the final night of the season. They came to see the guys who turned the Nassau Veterans Memorial Coliseum into Fort Neverlose and into the Barn, and many were left in disappointment. But we move on. The only truly fitting ending to the coliseum now would be John Tavares skating to center ice, shaking commissioner Gary Bettman’s hand, and lifting that 35-pound trophy sky high. That would honor the past, and what the building has meant to all Islanders fans. It’s place where many memories were made, and a place where many have spent most of their childhoods. It’s Home. Game four is set for 7 pm on Tuesday night.